I was slightly apprehensive to read another YA novel, but I did so anyway because of the subject matter (Philadelphia + 18th Century…okay, I’m there by default.) To prospective readers: do not be put off by this book being YA. Actually, it is quite adult and morbid despite its intended age group. Yes, some points are a bit tame where they probably wouldn’t be if it wasn’t YA, but for the most part I was surprised by its maturity. What’s more, Anderson’s level of historical detail, which could easily be ignored in YA, is stellar. Overall, I was very pleased with the inclusion of such historical detail. 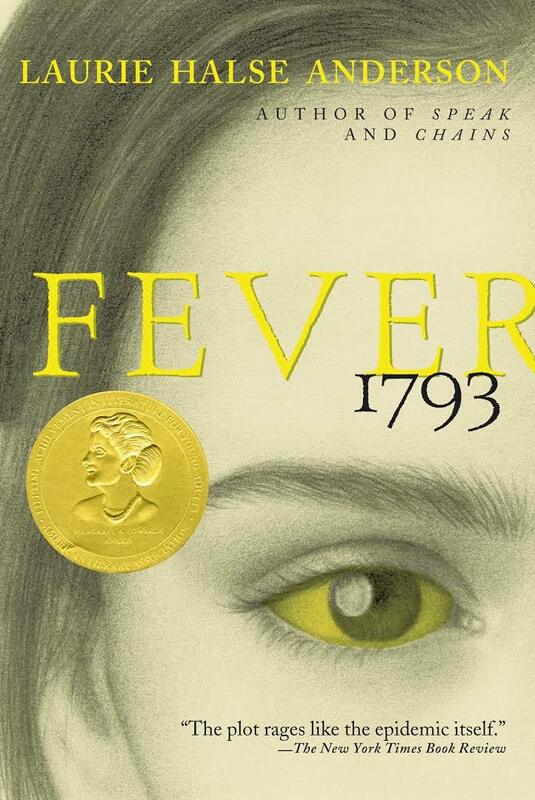 Fever 1793 is a story of survival, responsibility, growing up, and the importance of the mother/daughter relationship. Anderson’s tale of epidemic, despite the morbid subject matter, is a quick and pleasant read packed with historical detail to interest fledgling historians of all ages.